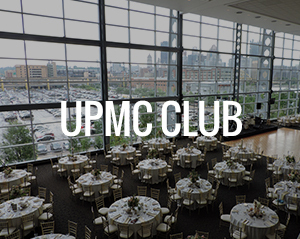 UPMC Club: Measuring about 45,000 square feet, the UPMC Club features three-story-length windows highlighting incredible views of the city skyline and the North Shore. 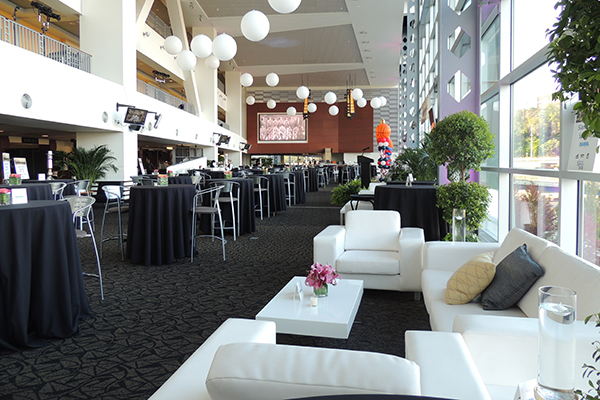 The beautiful lounge can be transformed to accommodate up to 800 people for a sit-down dinner or 2,000 people for a mingling reception. 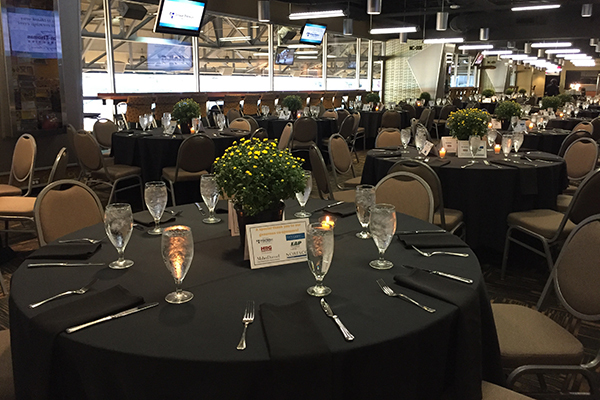 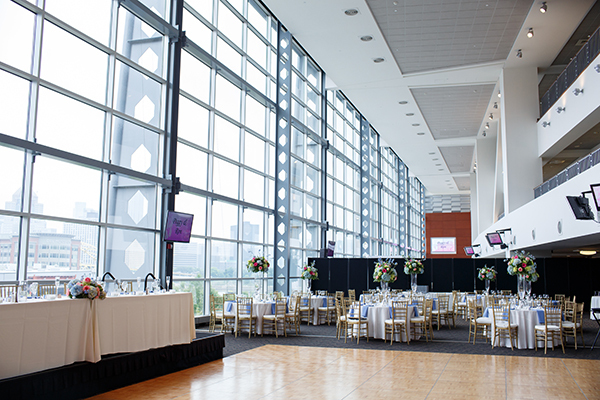 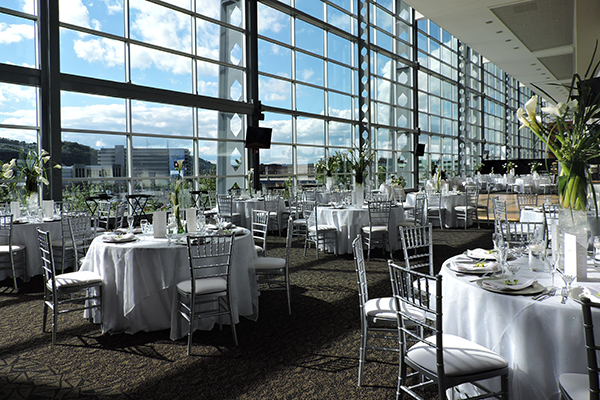 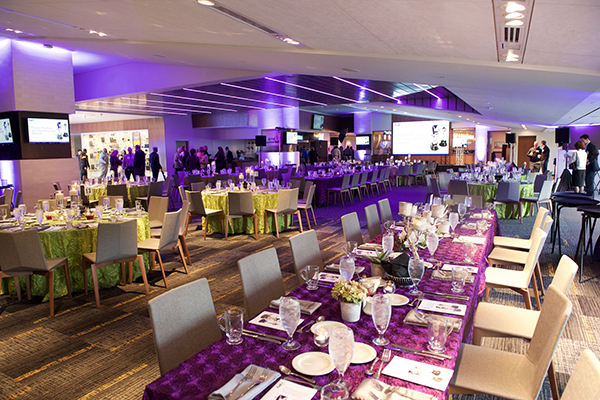 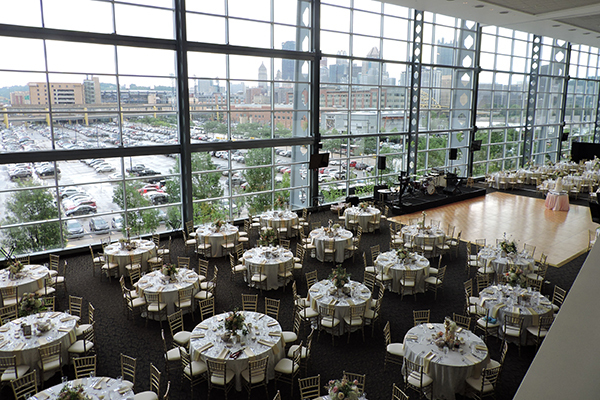 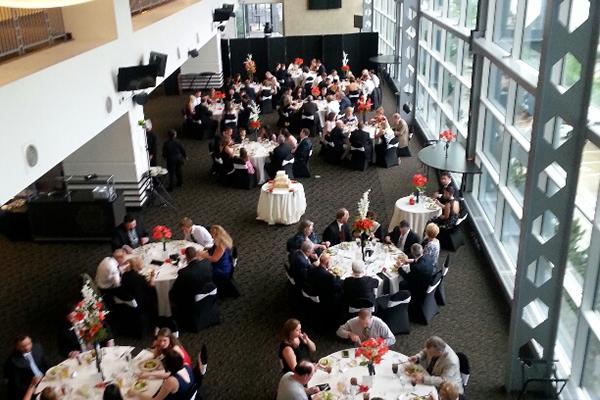 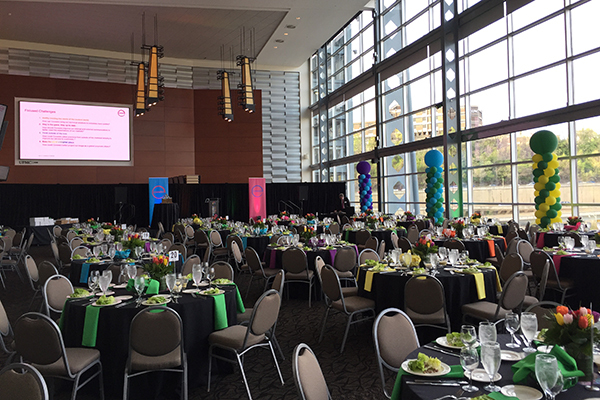 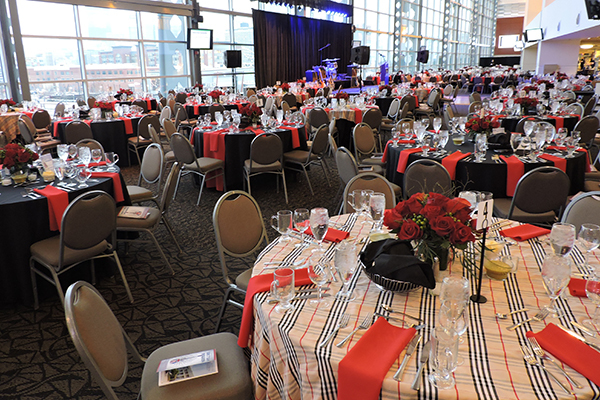 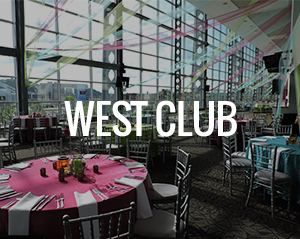 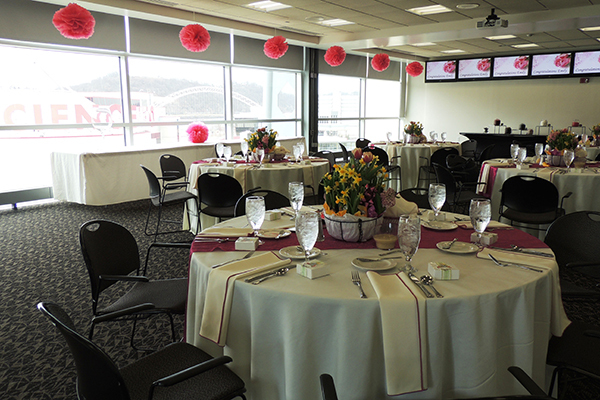 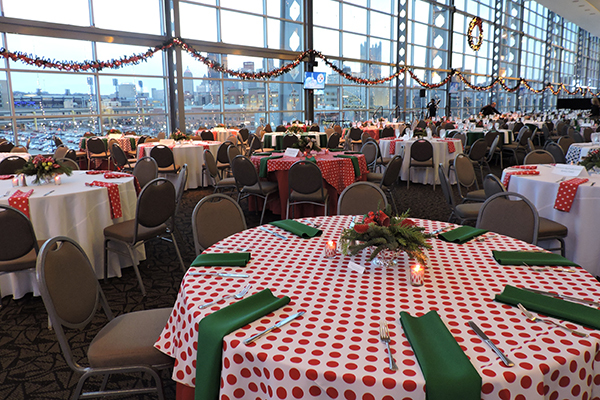 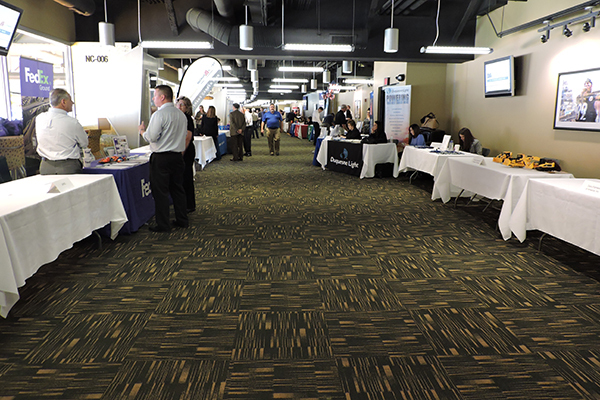 Whether it is a wedding, Bar or Bat Mitzvah, holiday party, business seminar or trade show, the UPMC Club is a perfect setting. 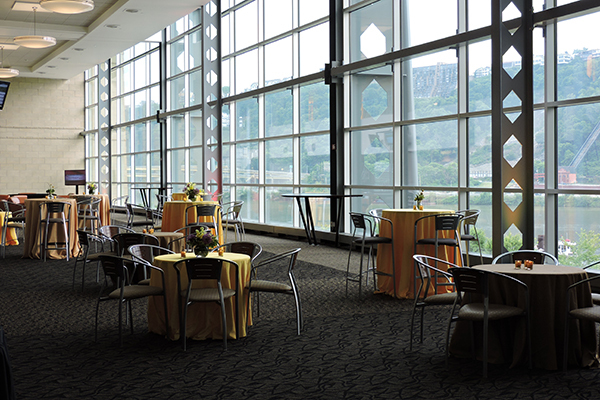 Hyundai Club: Measuring about 45,000 square feet, the Hyundai Club features three-story-length windows highlighting incredible views of Mount Washington and the Ohio River. 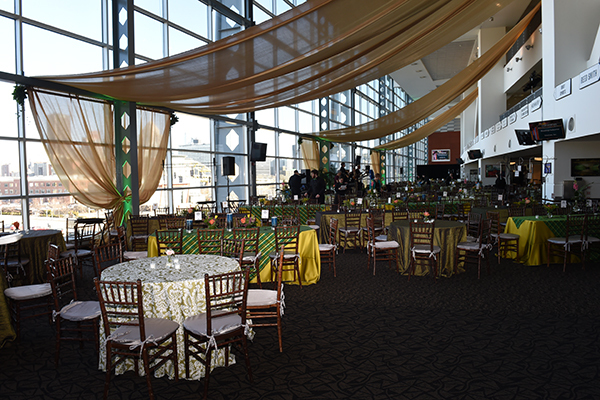 The beautiful lounge can be transformed to accommodate up to 800 people for a sit-down dinner or 2,000 people for a mingling reception. 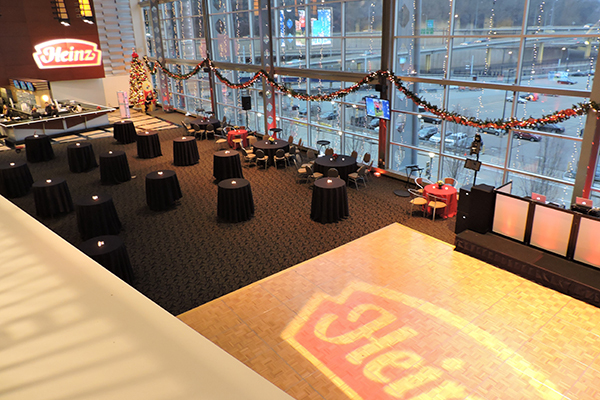 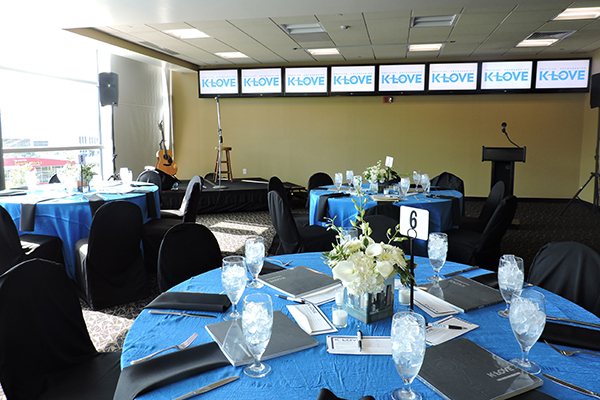 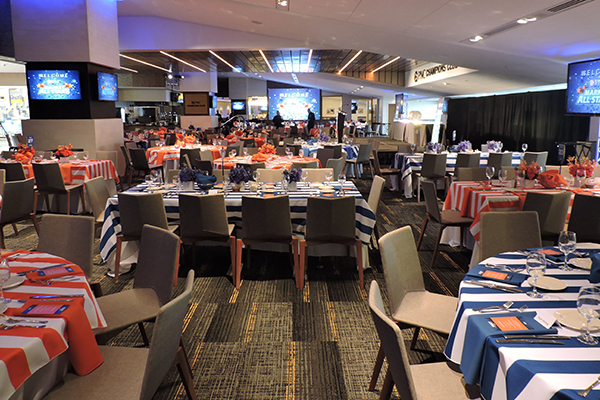 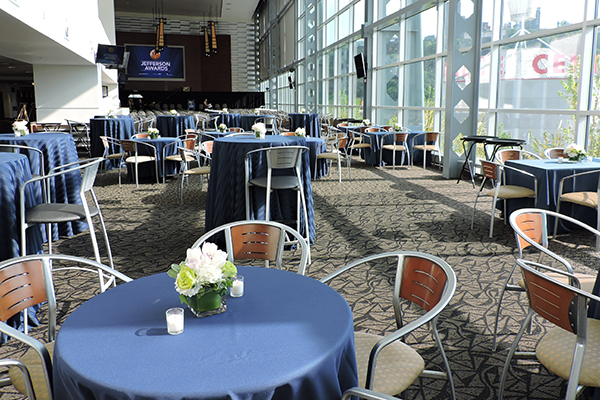 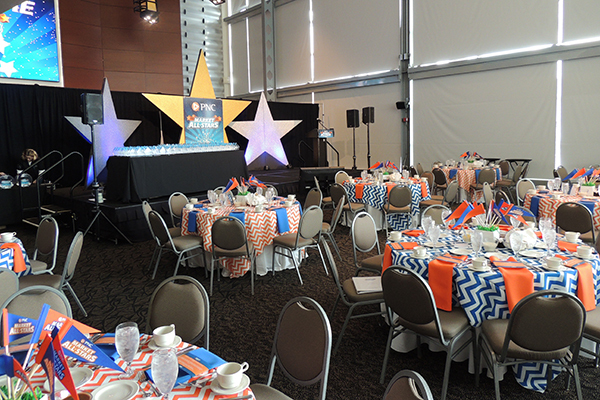 Whether it is a wedding, Bar or Bat Mitzvah, holiday party, business seminar or trade show, the Hyundai Club is a perfect setting. 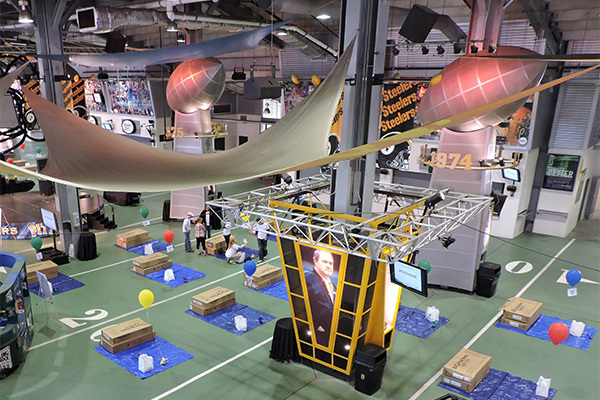 FedEx Great Hall: Part museum and part Hall of Fame, the FedEx Great Hall showcases great moments in the Steelers history and the men who made them. 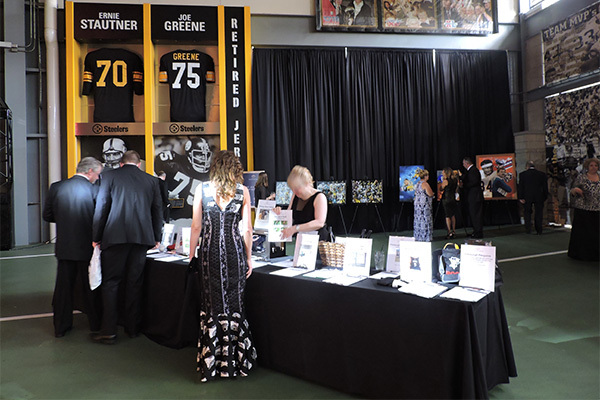 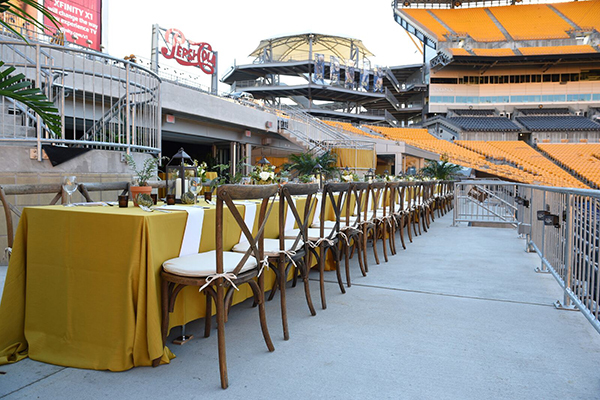 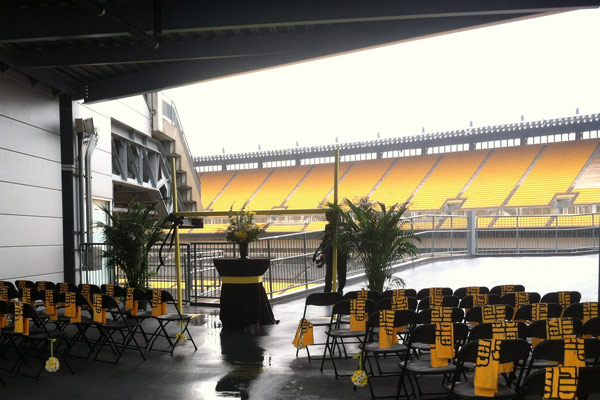 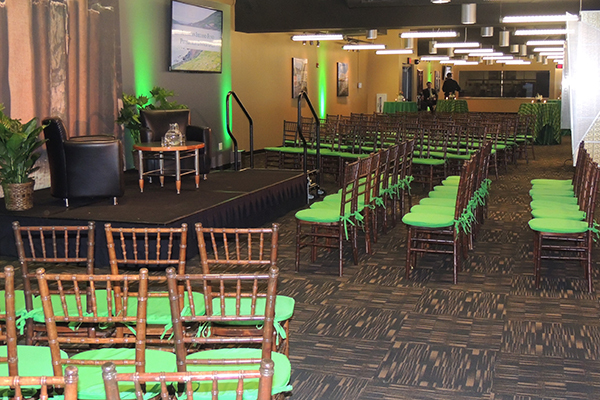 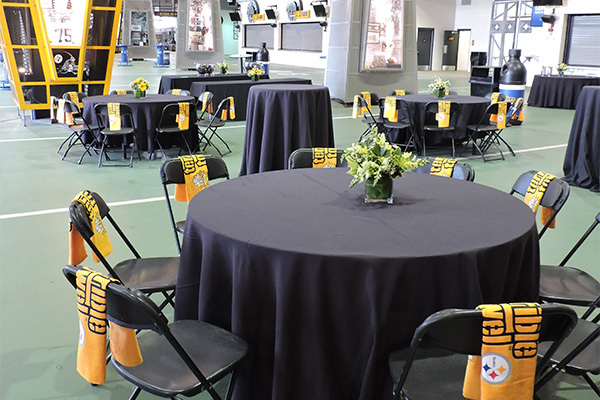 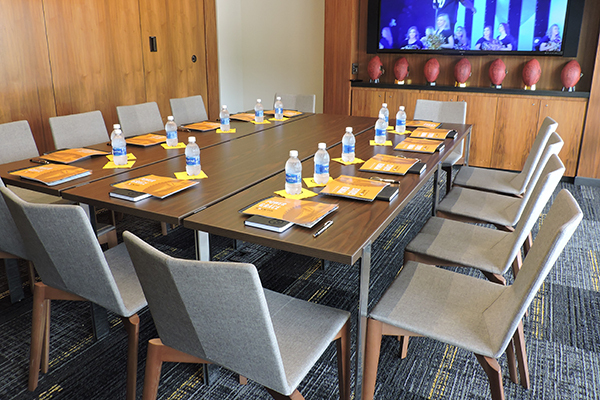 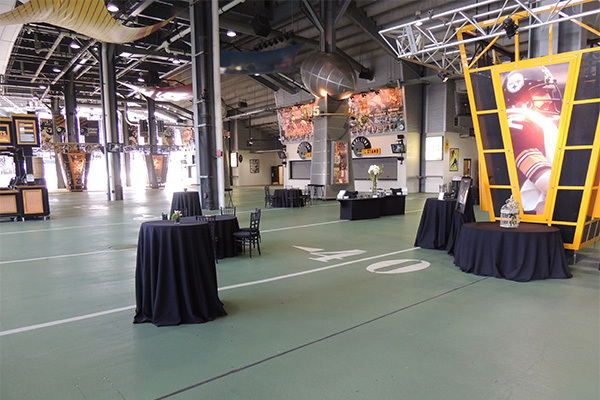 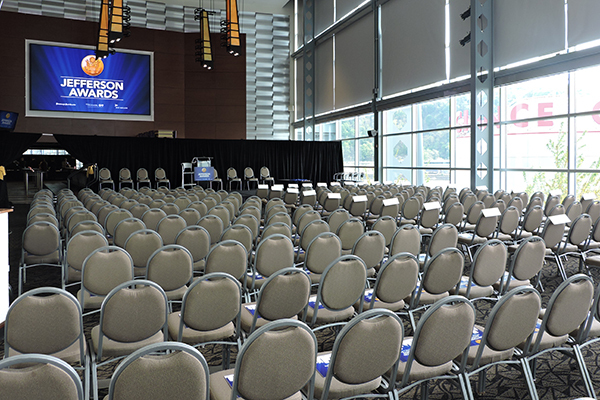 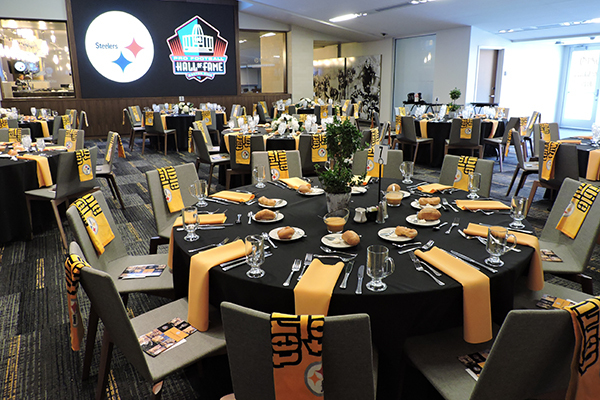 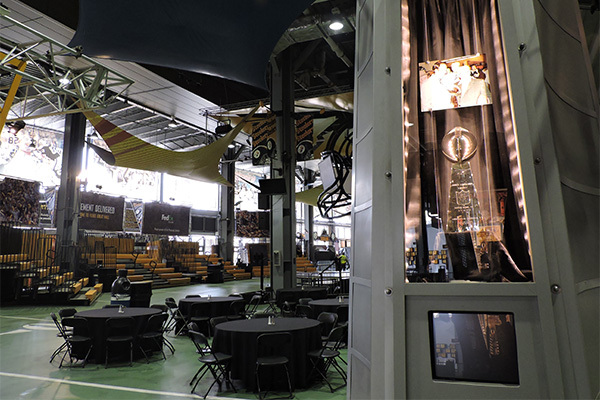 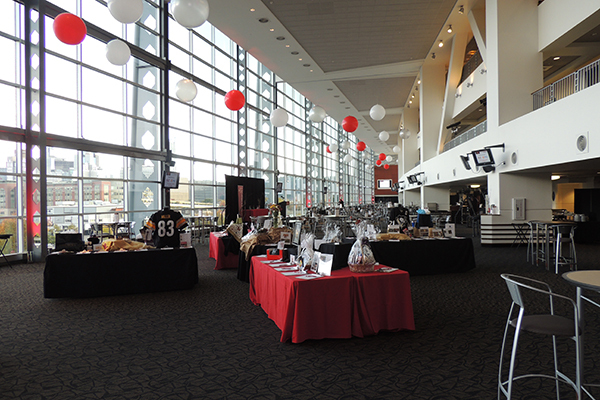 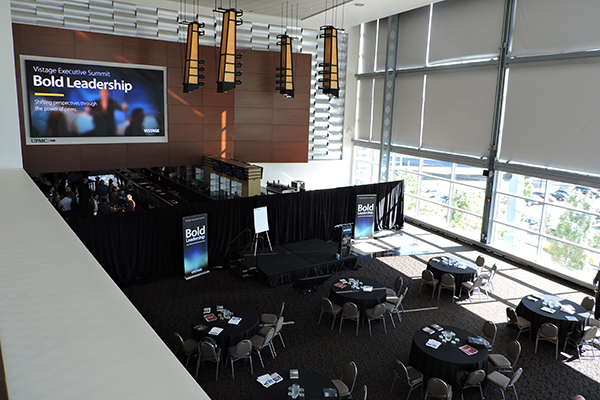 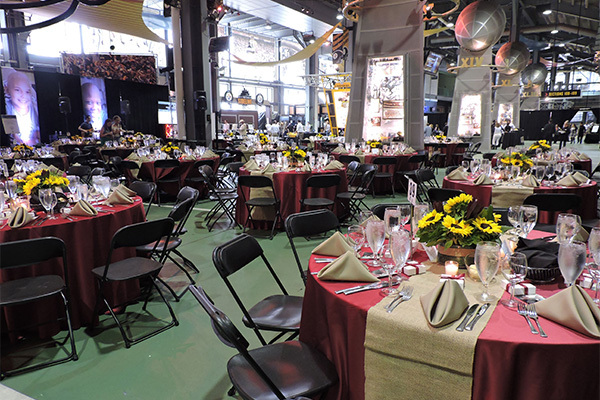 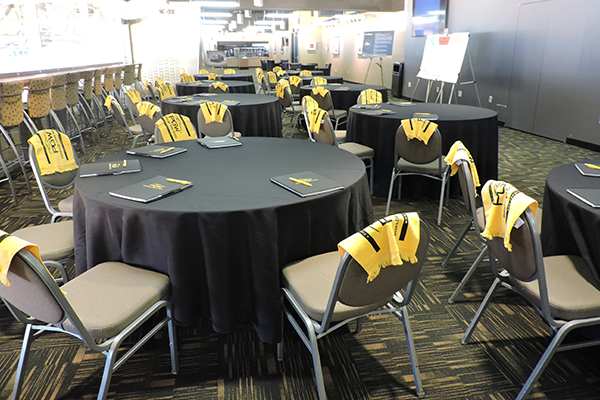 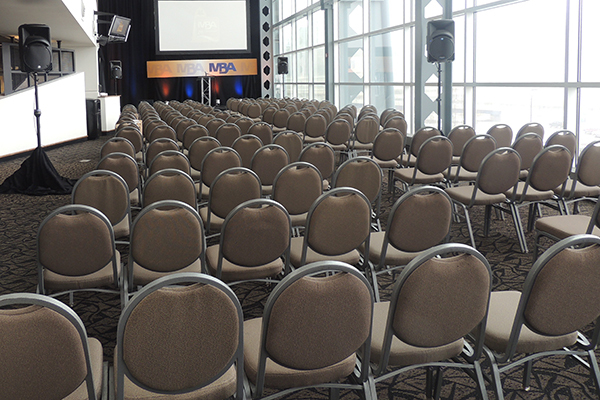 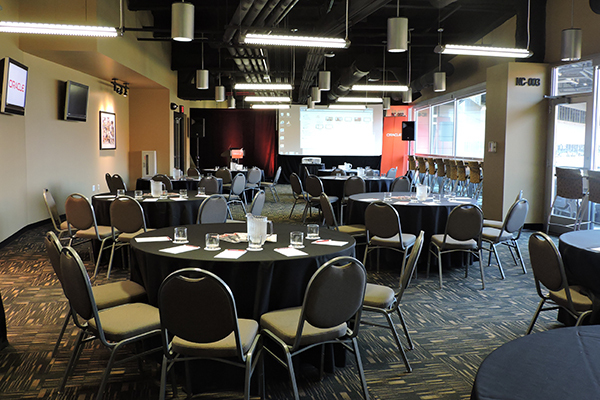 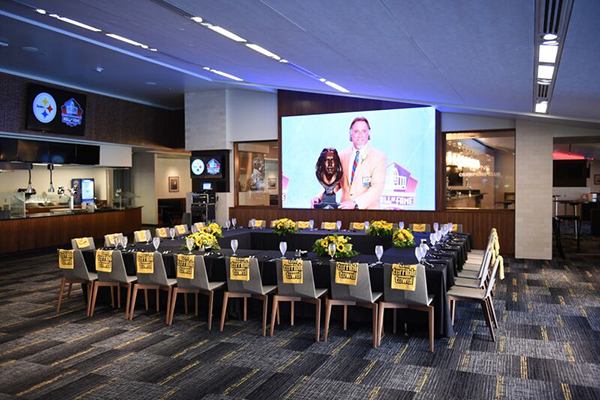 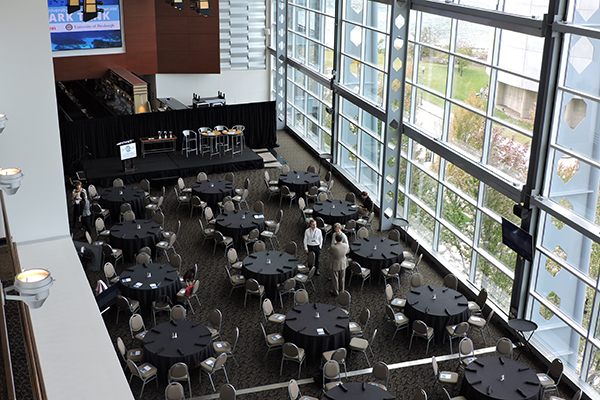 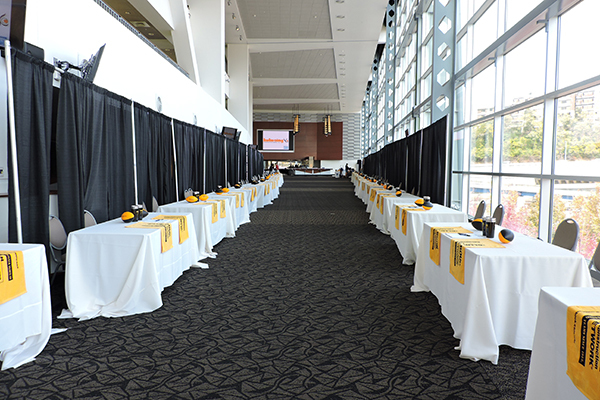 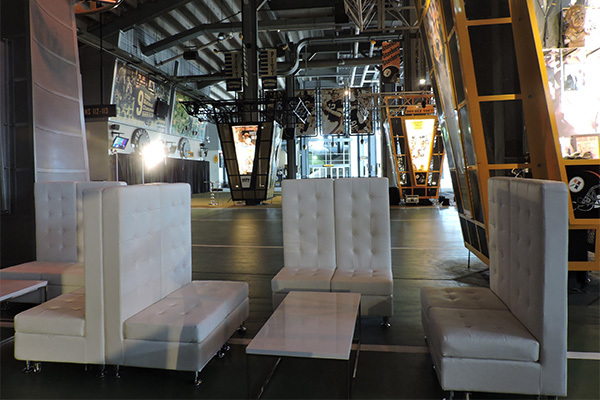 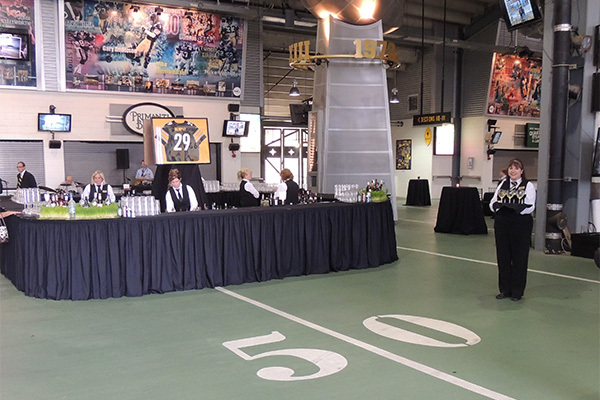 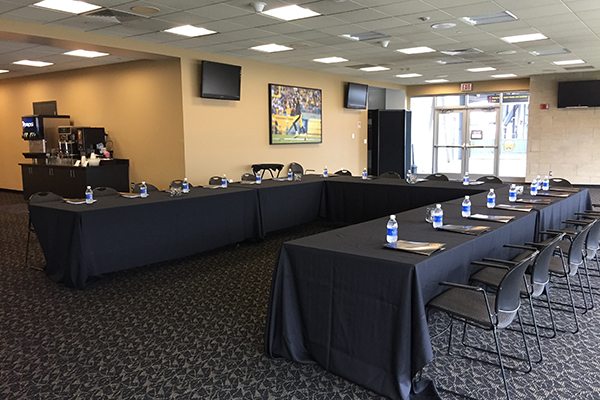 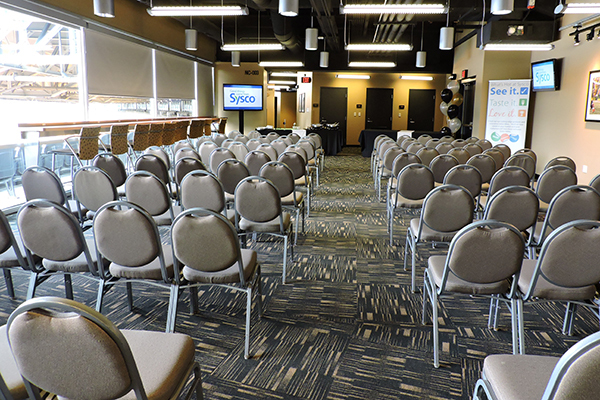 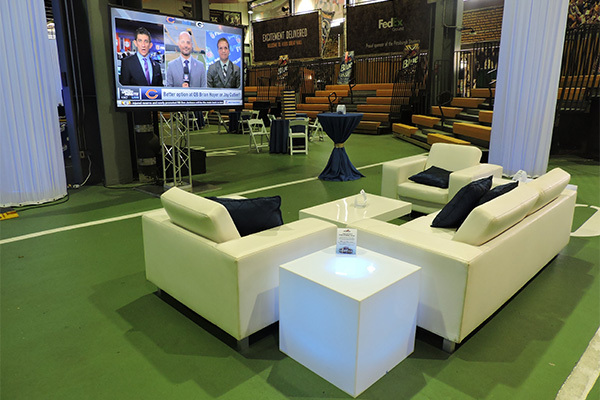 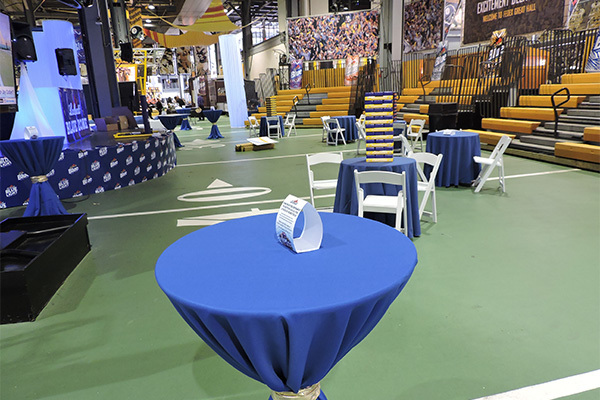 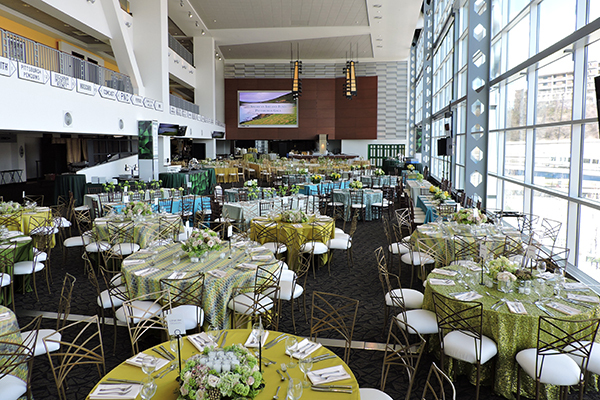 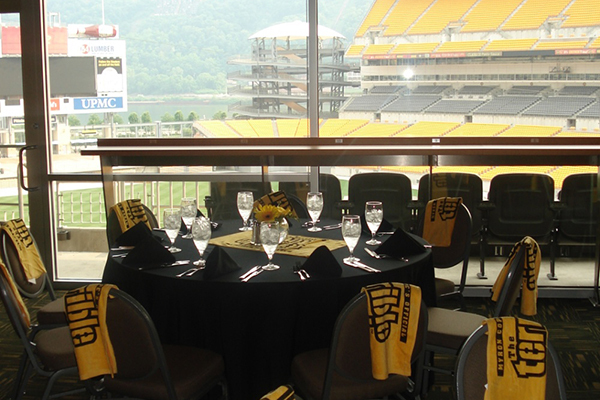 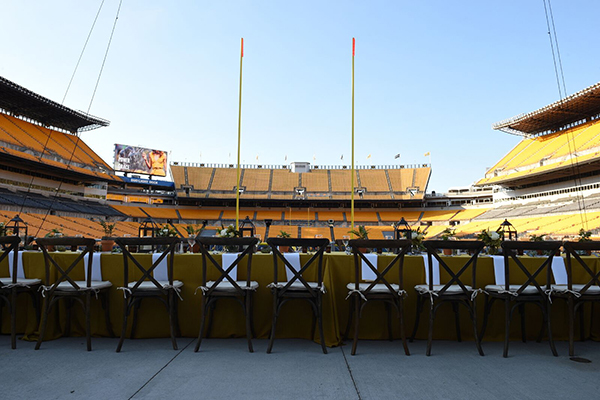 A permanent stage, lockers and bleachers from Three Rivers Stadium, replicas of the Steelers’ six Super Bowl trophies, banners, murals and ton of memorabilia make this the ideal setting for motivational and sales meetings. 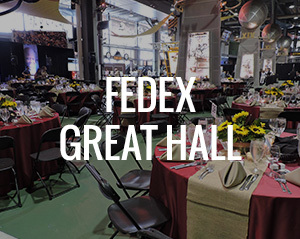 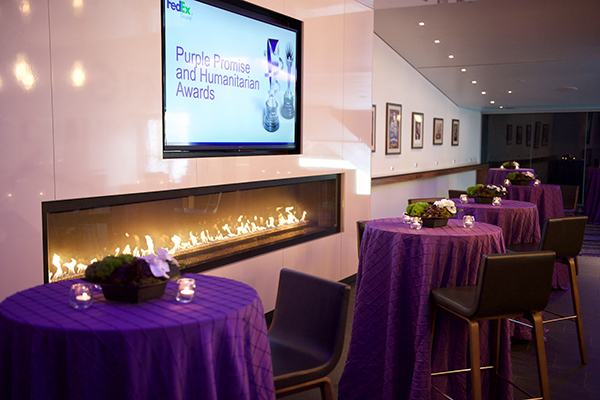 The FedEx Great hall features an open air design, limiting bookings from April through October. 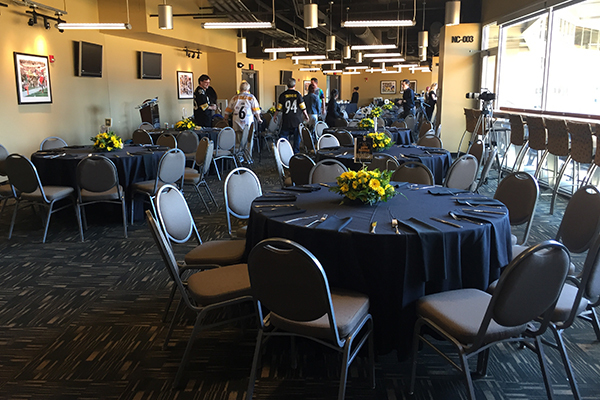 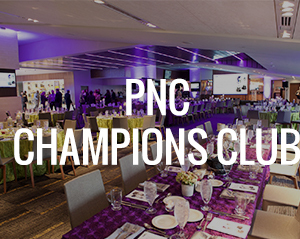 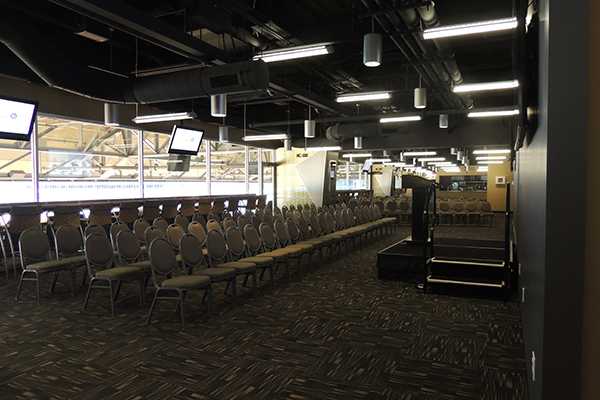 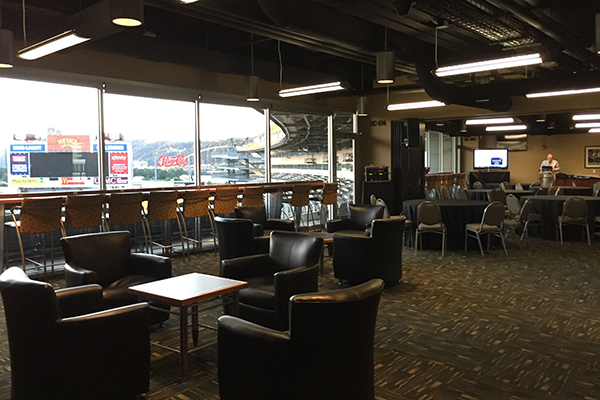 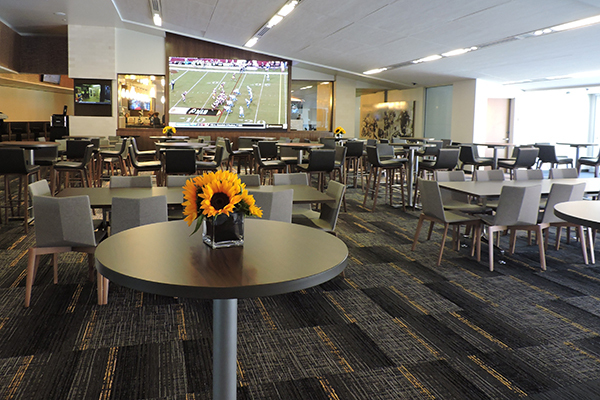 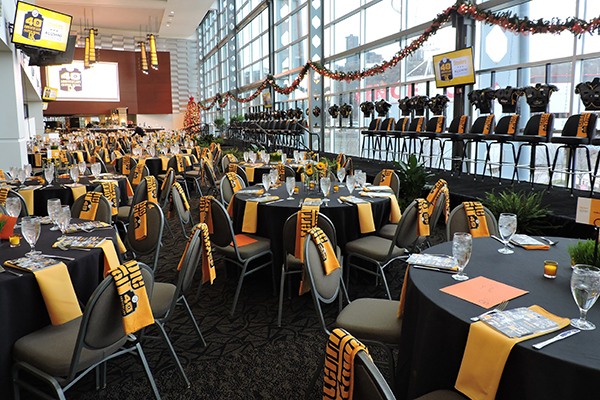 PNC Champions Club: Heinz Field has made its largest addition since opening the stadium in 2001. 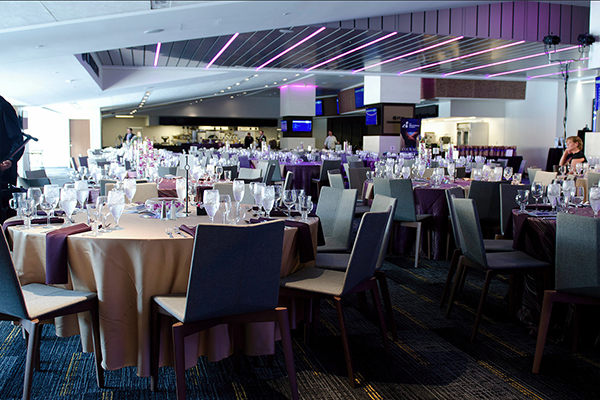 This state-of-the-art 20,000 square foot club includes a main event space with an operable glass wall field side, LED lighting, a large built-in video board, multiple TV screens, and a cozy bar side fireplace. 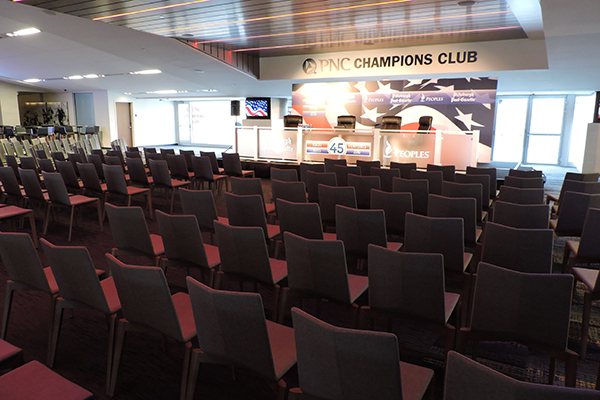 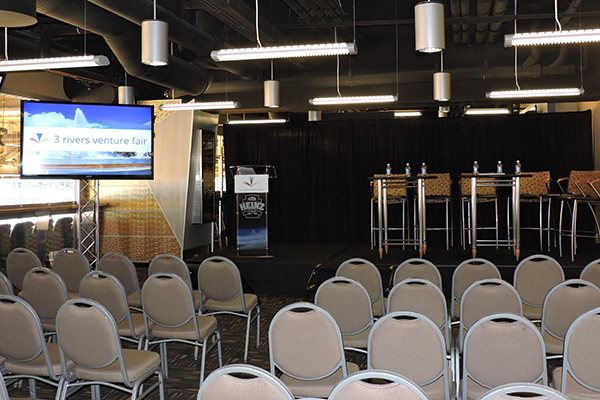 Also available for rent are two conference rooms and an outdoor patio space above the Champions Club in the Ford Fan Zone. 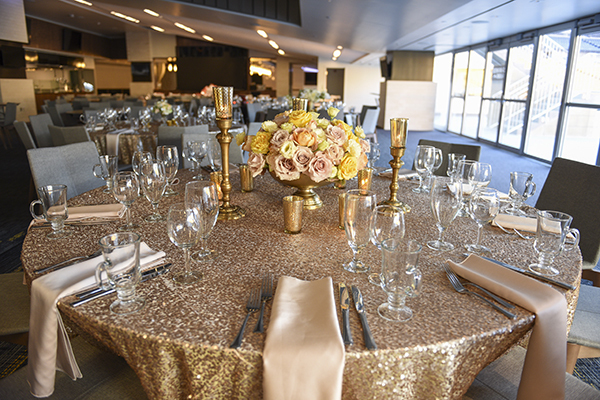 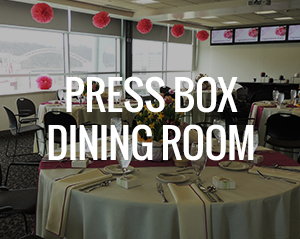 The Press Box Dining Room: The Press Box Area, including the actual tiered Press Box as well as the adjacent Dining Room is a perfect choice for a more intimate alternative. 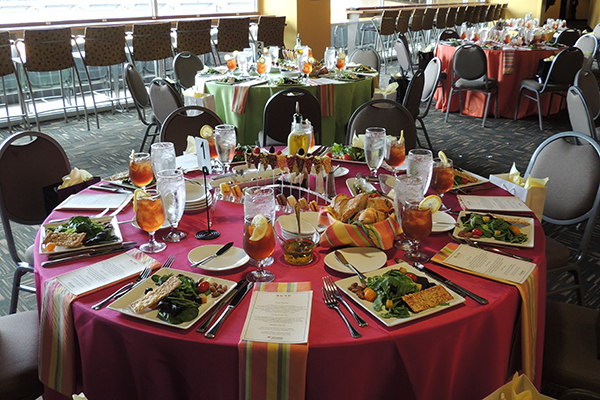 It’s especially suited for smaller to medium events such as cocktail receptions, business meetings, luncheons and rehearsal dinners. 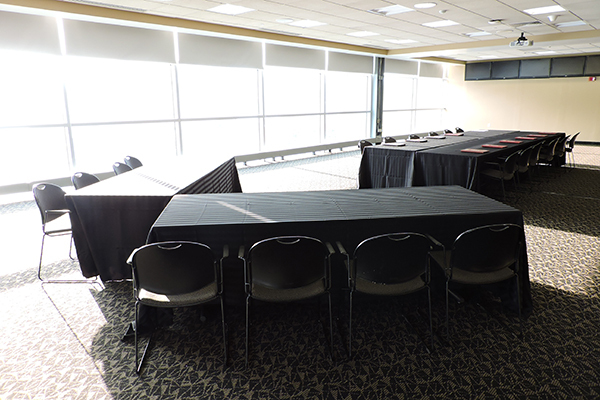 The Press Box includes private restrooms as well as convenient areas for break out sessions. 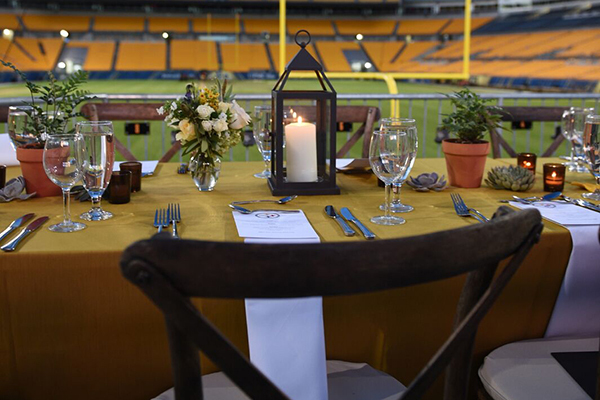 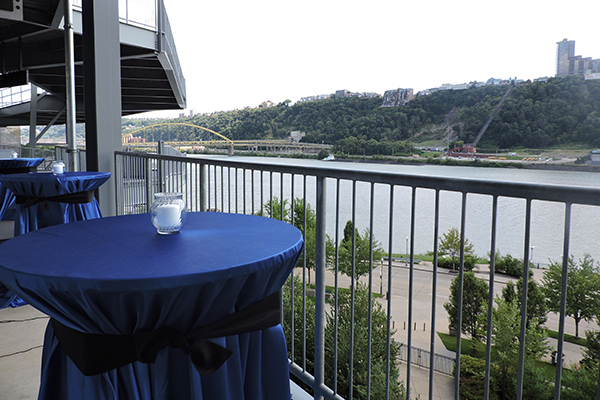 With a view of the field as well as Mount Washington and the Ohio River, it showcases the best of Pittsburgh to your guests. 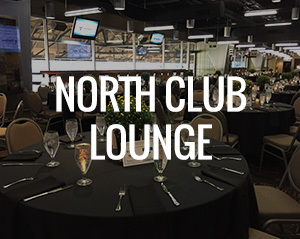 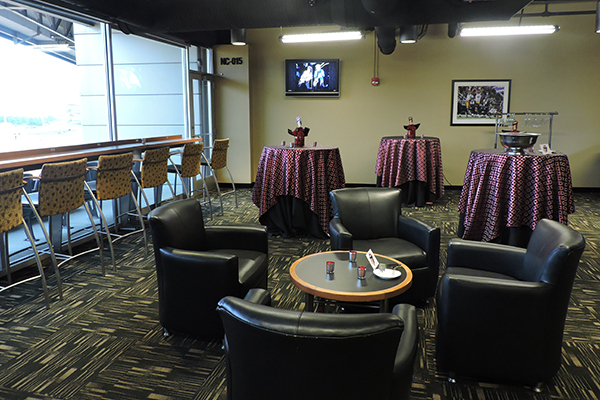 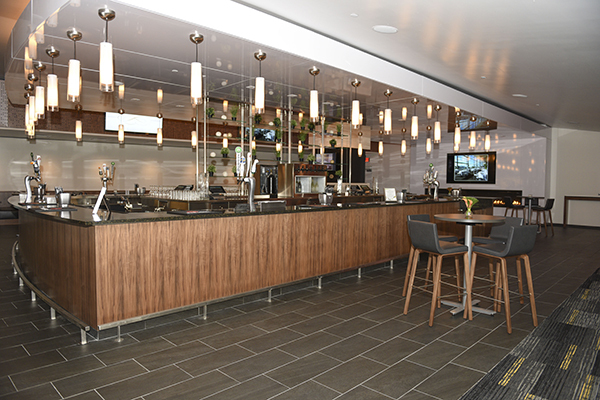 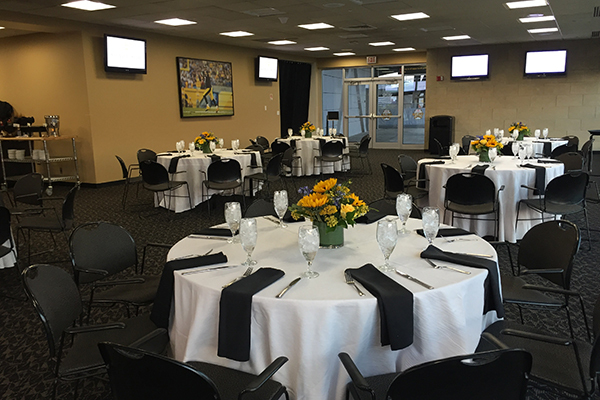 North Club Lounge: The North Club is located on the 3rd floor, overlooking the field from the North End Zone. 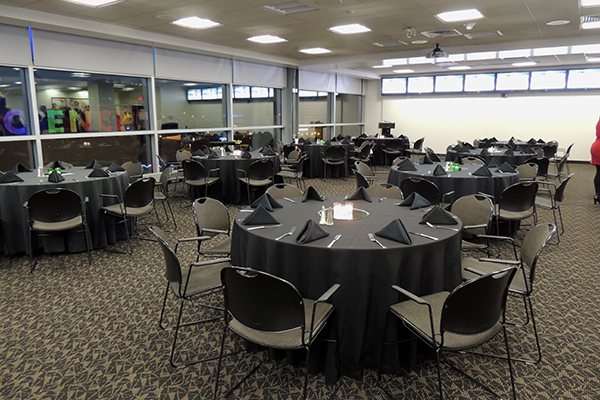 This space can be used for a business meeting with multiple breakout rooms, or a strolling reception where you can create each section for a different part of the meal or a different theme. 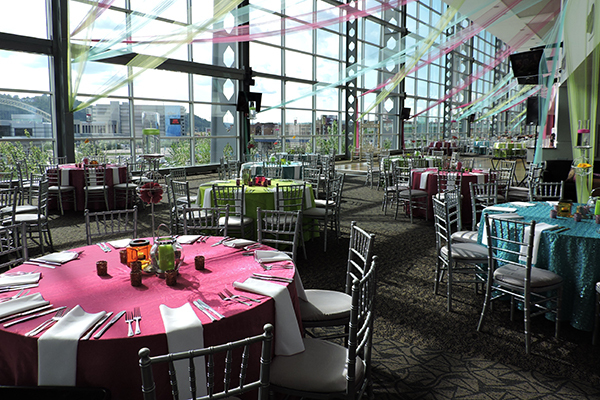 It is a very fun and unique space with a lot of possibilities for a unique and memorable event. 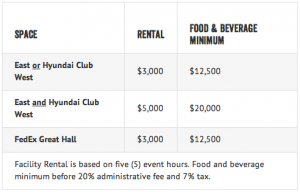 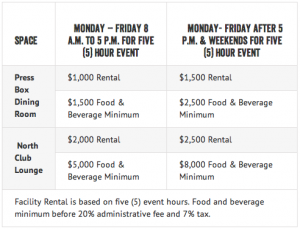 Facility Rental is based on five (5) event hours. Food and beverage minimum before 20% administrative fee and 7% tax. 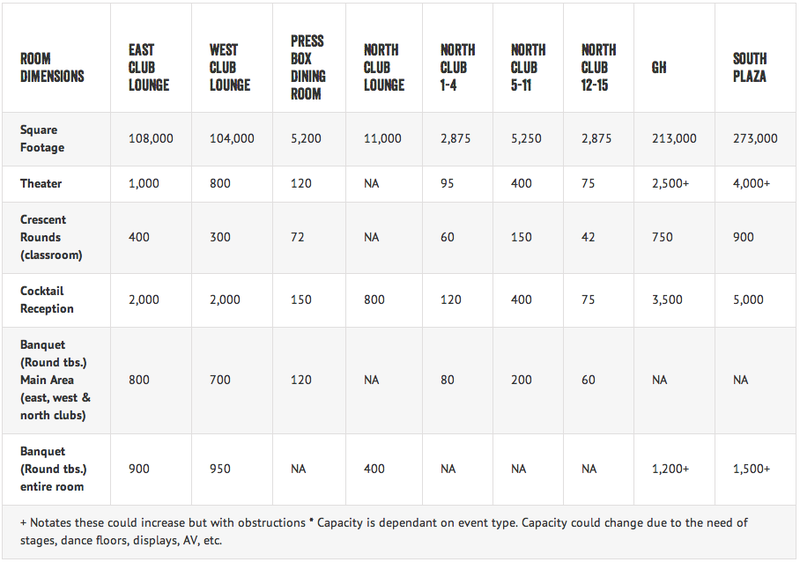 + Notates these could increase but with obstructions * Capacity is dependent on event type. 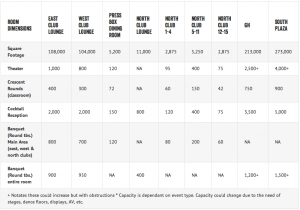 Capacity could change due to the need of stages, dance floors, displays, AV, etc.